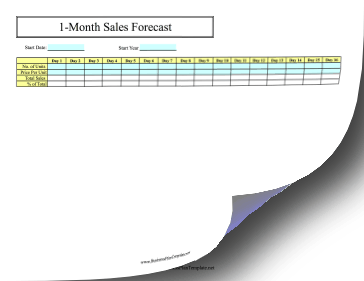 If you want to get a loan, you may need to create a sales forecast. This one-month calendar breaks down sales and prices by day. Blue boxes must be filled in for the white boxes to calculate the rest.